Opera Colorado’s upcoming 2012 season is scheduled to kick off with an Italian opera, composed by an Austrian legend; Mozart’s inimitable The Marriage of Figaro. It has been seven years since the company’s last performance of the well known classic. The four scheduled performance are to span two weeks this February. The Marriage of Figaro is the perfect opera for the uninitiated patron, with a comical storyline, a happy ending, a recognizable cast of characters and accessible melodies that you might even find yourself humming later on in the shower. There is no need to speak Italian in order to understand the story, either. 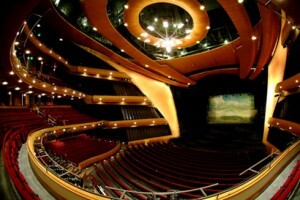 The company provides a thirty minute optional assembly where an expert describes the plot of the opera, in detail, before the performance begins. If that weren’t enough, the state of the art opera house provides subtitles in both English and Spanish at every seat, so you can follow along yourself. One of the most famous operas of all time, The Marriage of Figaro will be performed on the Ellie Caulkins stage February 11, 14, 17 and 19th.